Camshaft retaining tool x 2 – No.642589003100. 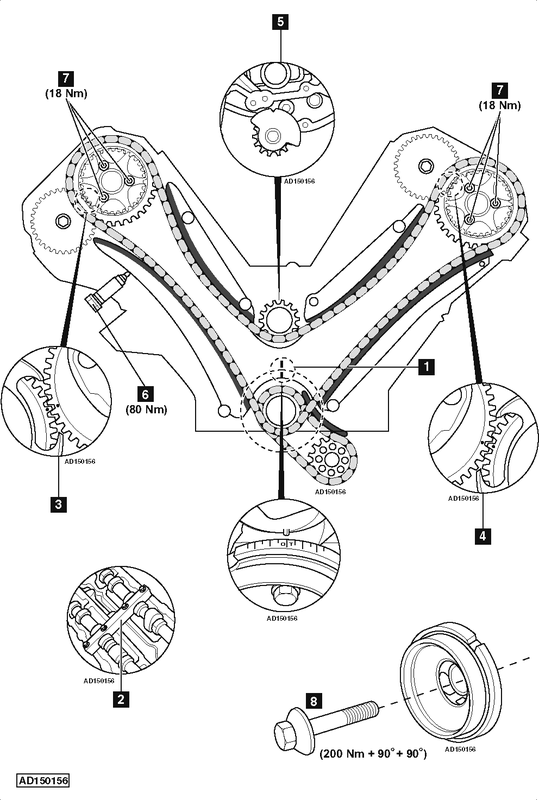 Timing chain to camshaft sprocket holding tool – No.642589044000. Install camshaft retaining tools to LH and RH banks  . Ensure timing marks on camshaft gears aligned  &  . Tighten crankshaft pulley bolt  . Tightening torque: 200 Nm + 90° + 90°.